(National Cigar History Museum) The history of the cigar-making Bayuk brothers begins in 1896 when Sam, Max and Meyer Bayuk pooled $325 and opened their first factory in a rented Philadelphia attic, joining 900 or so other Philadelphia cigar makers. Their first cigar brand, PRINCESS BONNIE, sold well enough they were able to opened a second factory in Lancaster county, PA. In 1910, they introduced PHILADELPHIA HAND MADE PERFECTO, which the smoking public quickly adopted, shortening the name to “Phillies.” In 1912, the Bayuk Bros. Cigar Co. moved to larger headquarters in Philadelphia while operating small factories in Allentown, Steelton and Bethlehem in PA, Newark and Perth Amboy in NJ as well as one in Binghamton, NY. 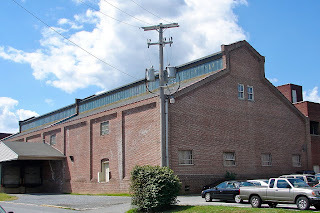 Photo: Largest building in the Eisenlohr–Bayuk Tobacco Historic District on the NRHP since September 21, 1990. The historic district is near North Water Street, at West Liberty Street (this building is a bit south of that) in the Stadium District of Lancaster, Pennsylvania. Part of the NRHP multiple submission for tobacco industry buildings in Lancaster (Wikipedia).